The study of human behavior in actual social settings is an extraordinarily complex area of research. Social behavior, unlike the controlled conditions of the laboratory, is affected by an enormous number of variables and environments. Researchers, therefore, are faced with the task of designing adequate experiments that have the sophisticated controls necessary to increase the experimenter's confidence that a relationship between a particular stimulus in a social environment and a particular social response actually exists. 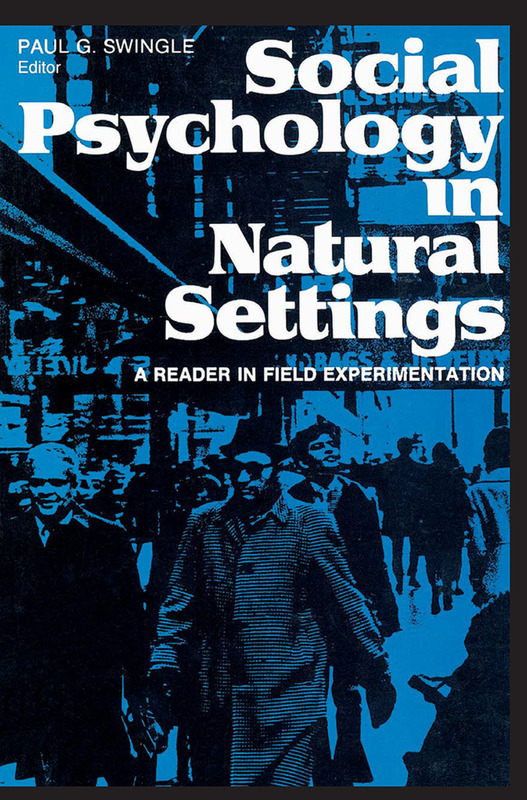 This distinctive supplementary text for social psychology courses gives students a real feeling for the possibilities of experimentation outside the laboratory. The reprinted and abstracted articles in this book are reports of experimental studies conducted in natural settings, and the orientation is scientific--focusing on consistencies between laboratory and field research, rather than their inconsistencies. The book discusses research on discrimination, status, prosocial behavior, dissonance, attitude change, interpersonal and group influence, compliance performance, change and rumors, honesty, and participation. The chapters were selected on the basis of both content and methodology and demonstrate particularly ingenious applications of experimental methodology to the study of natural settings. Throughout the book, the editor stresses the ethical and moral issues associated with field research, demonstrating that scientific work must be humane as well as rigorous. Social Psychology in Natural Settings is appropriate for course use at introductory as well as more advanced levels. It is instructive and useful as a reference volume for graduate students and researchers as well.